A sample from the garden vistas in this year’s tour. 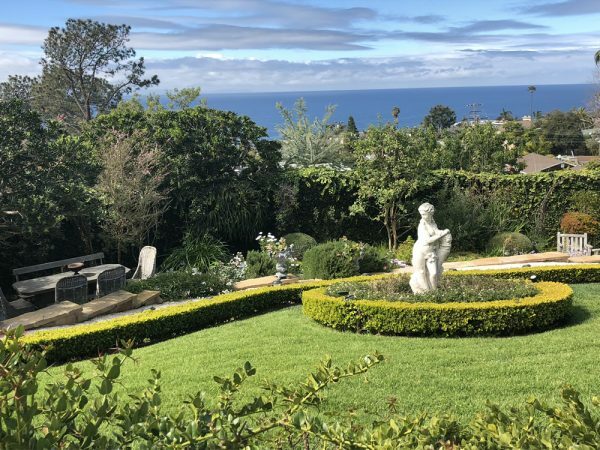 Tickets are on sale for the Laguna Beach Garden Club’s self-guided, Gate & Garden Tour, which will take place on Friday, May 4. The 11 a.m.- 4 p.m. tour begins at Arabella Historic Cottages, 506 N. Coast Highway, where visitors take a shuttle bus to the first garden and complete the three-quarter mile, downhill route featuring 10 private gardens plus the South Laguna Community Garden Park. From formal to fanciful to fruitful they reflect the past and showcase the present in South Laguna. Enjoy margaritas, refreshments and raffle prizes at the cottages. Contact Nancy Englund ([email protected]) for more information or to purchase tickets, $45-$50. Proceeds benefit edible gardens at local schools, beautification projects and scholarships. The city and trash hauler Waste Management will host a free paint, e-waste drop-off and shredding event from 8 a.m. to 2 p.m. on Saturday April 14, at a city yard, 1900 Laguna Canyon Rd. Residents and businesses are invited to dispose of unwanted paint, batteries, CFL bulbs and e-waste. Free shredding service will also be available. Architects, designers, contractors, real estate professionals, residents, property and business owners are invited to attend a free day-long workshop on energy code changes Tuesday, April 24, at the City Council Chambers, 505 Forest Ave.
Construction industry trainer Bruce Cheney, owner of Anchors Aweigh Energyin San Diego, will explain the skills needed to enforce the energy code for residential projects. Liz Avila, a public works department analyst, will describe the options being explored for undergrounding utility wires on Laguna Canyon Road at a Village Laguna board meeting that is open to the public Monday, April 23. The meeting convenes at 7 p.m. at the Universalist Unitarian Hall, 429 Cypress Dr. The spring classes for acting and musical theatre are underway. The line up is as follows: boys and girls ages 7 and 8 meet Mondays through May 21; acting fundamentals for ages 9-11 meet Tuesdays from 4:30-6 p.m. through June 2. Both classes are at the Woman’s Club, 286 St. Ann’s Dr. Musical theatre for kids 9-13 meets for eight weeks, on Fridays through June 1 at the Playhouse. Fees range from $175 to $225. For more information or to enroll in a class, call Bethanie Knieser at 949-497-2787, ext. 230. Planning Commissioners, representatives from the Laguna Beach Chamber of Commerce, and city planner Anthony Viera will host an Open for Business workshop from 6:30-8:30 p.m. on Thursday, April 19, at the Laguna Beach Community Center, 380 Third St.
City staff will present proposed revisions to the Downtown Specific Plan at 6 p.m. on Wednesday, April 18, during the Planning Commission’s regularly scheduled meeting in the Council Chambers, 505 Forest Ave. The focus will be on land use districts, permitted land uses, required entitlements, permit processes, findings for certain uses and allowable changes in permitted use. Dr. Ledford Powell wears Banana Republic in a previous runway show benefiting Mission Hospital, with campuses in Laguna Beach and Mission Viejo. 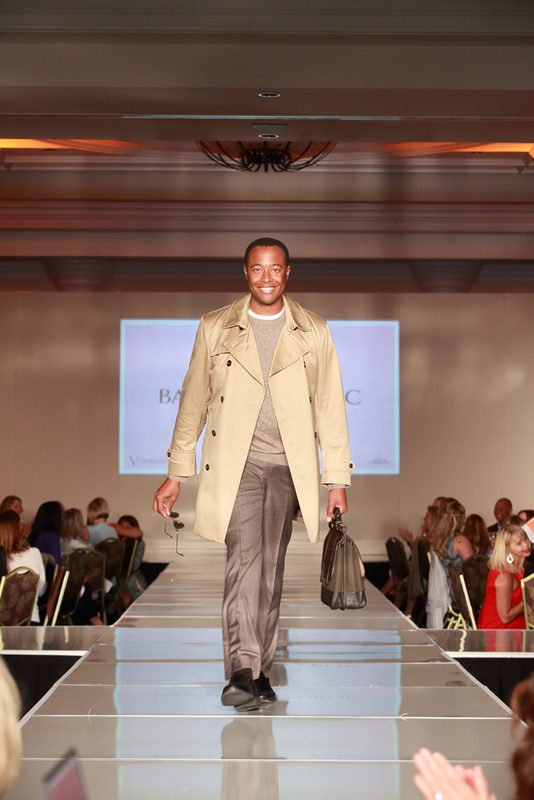 Physicians and nurses will rock the runway as fashion models in the 22ndannual fashion show and luncheon by the Valiant Women of Mission Hospitalat 10 a.m. on Friday, May 4, at the Monarch Beach Resort in Dana Point. The event offers a silent auction and four raffles including a three-night resort package. RSVP by contacting Darcy at 949-365-3893 or [email protected], or visit www.mission4health.com/vwluncheon.